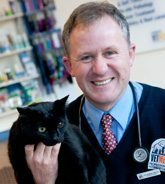 Looking for a vet in Northbridge, Sydney? surgical services focused on industry leading techniques. Our Northbridge practice typically provides service to clients and their pets from Willoughby, Castlecrag, Artarmon, Naremburn, Cammeray, Crows Nest, Cremorne, Mosman and beyond. If you are looking for outstanding veterinary services closer to your home, please check out our other locations. Join us on a tour of our Northbridge practice.